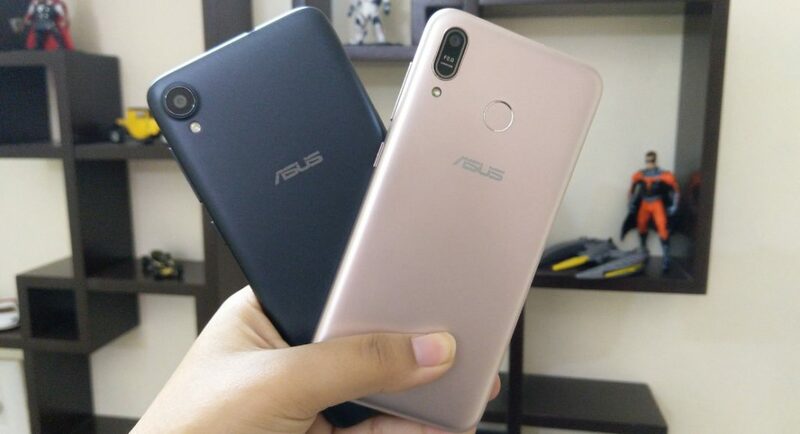 Asus recently launched its Zenfone Max M1 smartphone. Although it is priced at Rs 8,999, as a part of an introductory offer, it of available at Rs 7,499. Asus did make its mark in the mid-range segment with Zenfone 5Z this year, but will it be able to do the same in the entry-level segment? When you look at the Asus Zenfone Max M1, you would certainly be reminded of the Zenfone Max Pro M1. 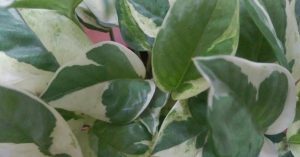 Not that they are identical in design, but it’s very evident at the first look itself that they belong to the same family. Asus Zenfone Max M1 has a plastic body and comes in Black and Gold colour variants. The one that we got for review was dressed in Gold. In spite of the fact that the smartphone has a 5.45-inch display, it was easy to operate and we were surprised at how light-weight the device really is. Even though the smartphone has been touted to have a big battery at an affordable price point, Asus managed to keep the weight of the Zenfone Max M1 at just 150g. Some might say, its build quality is just average. But then, at this price point, it’s okay. The front of the smartphone houses the display, the selfie camera, the ear piece and the proximity sensor. On flipping over, you will see the primary camera coupled with LED flash, the fingerprint scanner and the Asus branding right below it. The left edge houses the SIM tray and the right side has the power and volume rocker buttons. 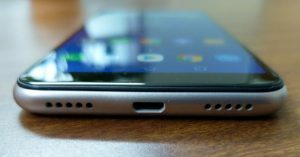 You can plug in your earphones via a 3.5mm headphone jack located at the top and charge your phone using the microUSB port that is placed at the bottom. The bottom edge also has the speaker grilles. Coming to the display of the device, like we said, it sports a 5.45-inch HD+ IPS display that comes with an 800:1 contrast ratio. The borders around the display are quite broad, which is expected in the sub-10K budget smartphone sector. The colours that it showcased were accurate and vibrant, and the screen was bright. 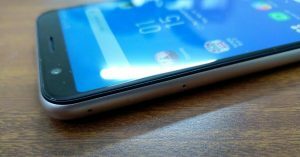 We were mostly happy with the display of Asus Zenfone Max M1. The viewing angles were also decent. However, the sunlight readability of the device could have been better. 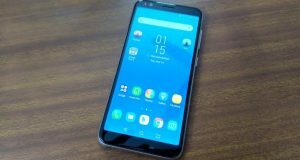 In a nutshell, we really liked the design of the Asus Zenfone Max M1. The biggest plus points of its design are that it is light weight and one-handed usage is a cakewalk. The display of the smartphone is decent too. But we really wish the sunlight readability can be taken up in one of the coming updates. 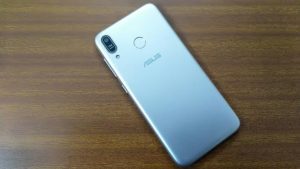 Let’s take a look at the rest of the specifications of Asus Zenfone Max M1. The smartphone is powered by Qualcomm Snapdragon 430 processor clubbed with 3GB RAM and offers 32GB of internal storage. For more storage, you can install a microSD card of up to 256GB. The smartphone houses a 4,000mAh battery and runs Android Oreo skinned with the company’s own ZenUI. For connectivity, there is Bluetooth 4.0, Wi-Fi, GPS, and GLONASS. Although there is a dual SIM card slot, only one of the two SIM cards will be able to connect with 4G at a time. Since the operating system used in the phone is customized, Asus Zenfone Max M1 has its own icons and comes with pre-installed apps like Instagram, Facebook, Facebook Messenger, Mobile Manager, Weather, Sound Recorder, File Manager and Themes. The usual suite of Google apps is also present on the device. The device did take more time than usual smartphones for its initial setup. However, there was no other lag in launching apps and switching between them. We didn’t face a lag even when we worked on multiple tabs of Chrome. Pretty neat on offer at this price point. 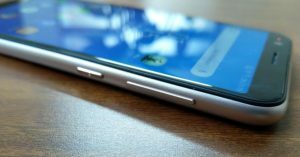 The device comes with Face Unlock as well as a fingerprint scanner, and in our time with the phone, both worked well. The Face Unlock even worked in dimly lit conditions, which we think is a plus. In the benchmark tests, the device managed to score 57,983 in Antutu and 665 and 2,478 in single and multi-core scores of Geekbench. Which put it at part with the competition or half a step behind. However, other features like sound equalizer et al make up for it. What we really love is the battery life of the smartphone. With usage that involved watching YouTube videos, navigation with Google Maps, and a lot of long phone calls, we still had around 50% juice remaining at the end of the day. And a good battery life is always a big plus in our books. There are also some modes that will help you enhance the battery for it to last even longer. The call quality of the smartphone was good. We faced no problem regarding reception even in areas like basements. Now let’s talk about the cameras. The 13MP primary camera comes with a f/2.0 aperture and PDAF. For selfies and video calls, there is an 8MP shooter up front with a f/2.2 aperture. The camera app of the phone comes with Beautify, Panorama, HDR, Portrait and Time Lapse modes. The photos that we took during the day or in well-lit conditions were better than average. One would need to download and see them on a display, since the smartphones screen pixel ratio does not do justice to it. We did face a case or two where the images were not very sharp and lacked details. We overcame that by enabling the HDR mode, which does help a lot. The colours remained accurate in all photos. As for the low-lit shots, we do recommend to use noise reduction. On the other hand, we were expecting great results from the selfie camera as we got from the rear one. Though the company has come a long optimising the front camera, we were able to extract only average selfies. To conclude, we would say that at a price of Rs 8,999, the smartphone is a good buy. It comes with a good design, has an amazing battery life and an overall smooth performance. The battery, in fact, is the best aspect of the smartphone. The cameras could be better.